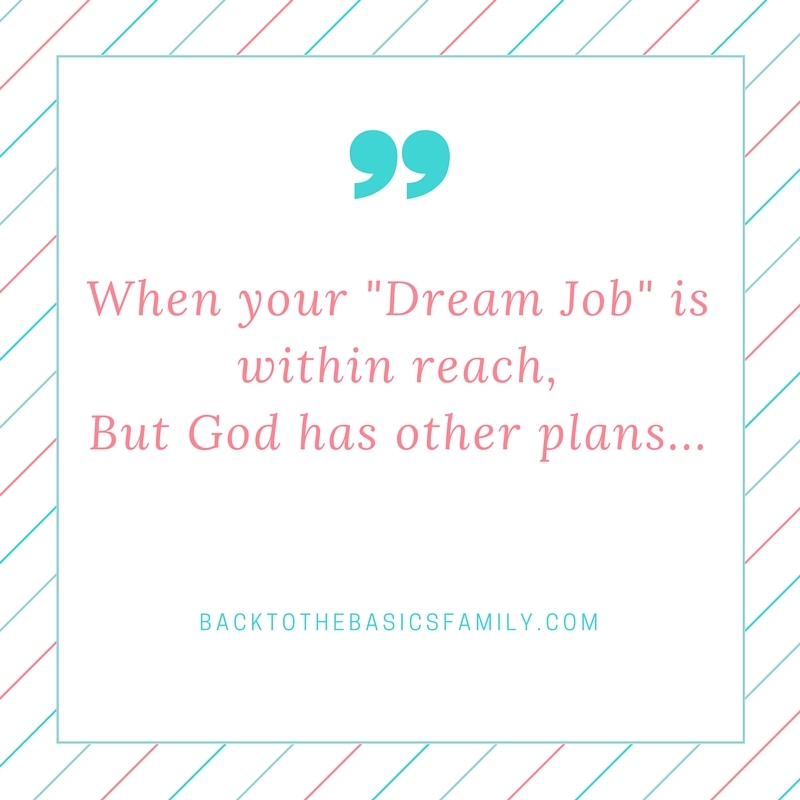 Back to the Basics: Family...: "Dream Jobs": What's Your Passion? "Dream Jobs": What's Your Passion? I have always enjoyed writing. That has never been in question. In college, I battled heavily with the fact that I did not follow my dream to pursue a career in writing. I was afraid I'd never find a job or use the degree. As a young woman, especially a new mom with young children, I often found myself thinking about what I had dreamed of doing with my life. I had regrets that I never tried going after my "dream" job. I wanted to make a difference with my life. I was a busy wife and stay-at-home mom / work-at-home mom, who eventually became a homeschooling mom. For the first seven or eight years of my children's lives, this was my world. There was very little time to pursue anything remotely like a hobby, even less if it was anything that required my brain to perform intelligently. Thankfully, my days are no longer reflective of that. I typically get to sleep through the night, and my kids can feed themselves if they need a snack. 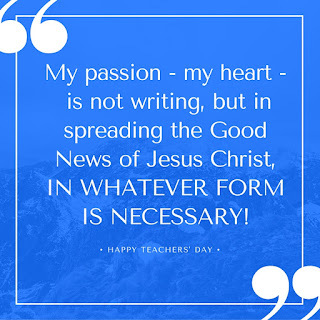 So, when I came across a job opening for a writing position with one of my favorite Christian organizations, I had to apply. A few months back I had come across another opening with the same company, but I talked myself out of applying because I didn't know how to make it work for my family. But it drove me crazy, not knowing if I could have done the job. "What if God would have worked it out so I could have done the job without it interrupting my family?" So, I HAD to apply just to put my mind at ease. And before the end of the day, they had contacted me to set up an interview. I was shocked... and excited... but still really SHOCKED! I did a lot of praying. As a family we had many long talks about the possibilities, what changes might take place, etc. My wonderful husband was very supportive. We had felt for awhile that our family was in a transition. With this job we would be required to move out of state, away from all our family and friends. Our family dynamics would be changing. I would no longer be at home, but my husband would be home, doing the homeschool full time. My heart ached, but I felt that the Lord had opened this door for a reason, so I accepted the interview. We had all weekend to pray about this new situation that had been presented to our family. On the outside, this looked like the ideal answer to our prayers. But in my heart... I felt this job would actually be taking our family back to a place we had spent so many years trying to escape. The day of my interview came, and it met many challenges. I ended up having an interview on Skype for over 30 minutes from my phone due to some technical errors on ALL the computers in my house 15 minutes before my interview. Yet, the Lord still kept the door open, and by the end of the day, I had a request for a second interview to meet with the writing team the NEXT DAY. 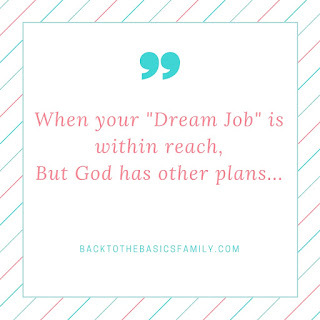 Prior to finding out about my second interview, I had already told my husband that I really didn't feel this was the right job anymore. When I found out about the second interview right before bed, I started second-guessing myself. My husband agreed that I should do the second interview... just to see. I didn't understand why God still had this door open. I knew He didn't want me to take the position, so why was He still keeping this door open? During the second interview, I was asked, "What is your passion?" I answered in reference to the job, saying, "Writing." I had always believed that to be my greatest passion as far as a career goal. However, each time I gave that answer, the Lord stirred my spirit. The interview went well, but oddly enough, when it was over, I knew without a shadow of a doubt I was not supposed to take that job. I didn't even WANT it anymore. The Lord had completely taken that desire away, but in doing so, he showed me something greater. 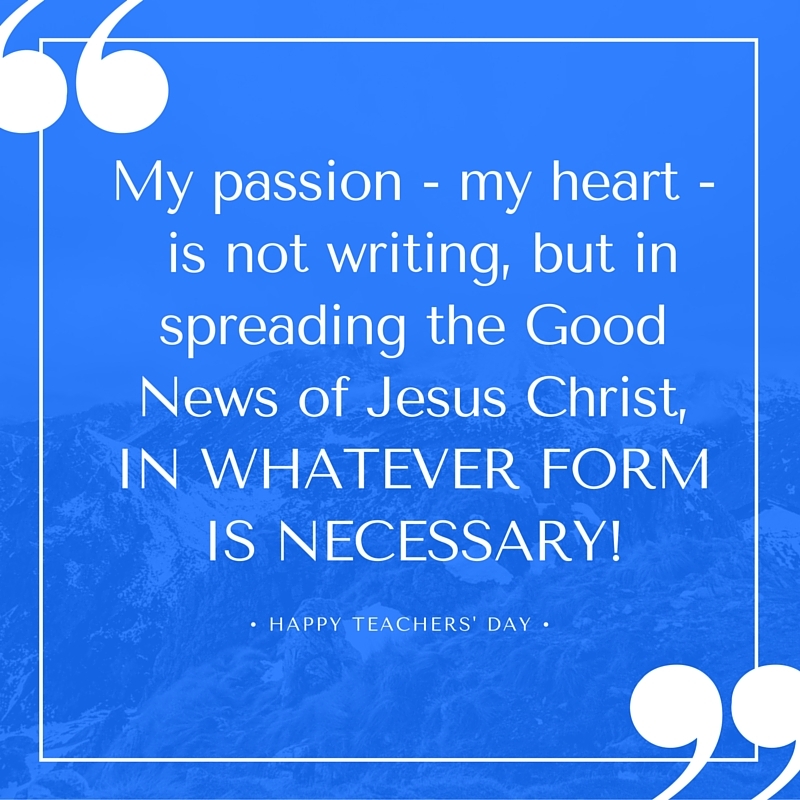 My passion - my heart - is not writing, but in spreading the Good News of Jesus Christ, IN WHATEVER FORM IS NECESSARY! He has given me a deep passion for ministry in a variety of forms! The Lord showed me where my heart truly was. It's always nice when the Lord confirms what you are doing is not in vain. So many times it is easy to wonder if anything we do really even matters? Are we making a difference? What a great blessing! Our ministry won't look like the other person's ministry at church, on Facebook, or the neighbor next door.